I started drawing out the full size template on mdf. I cut out the template, this should give you a good representation of the proportions. I got quite a bit done on the body yesterday and today. 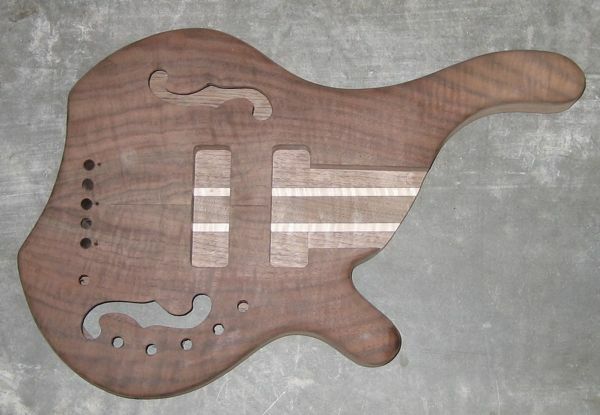 I glued the body blank up with black walnut, maple and a dyed black veneer between every layer. 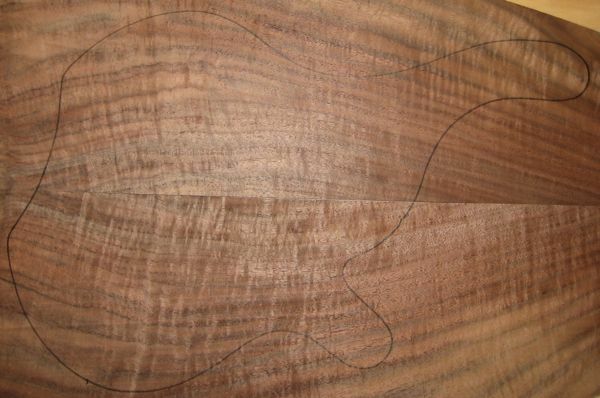 I then went ahead and roughed out the hollow part of the body. 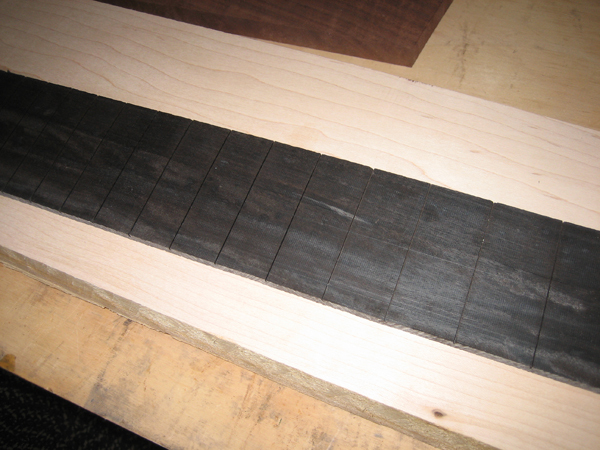 Then I cut the fret slots and the last picture is of the top I will be bookmatching soon. 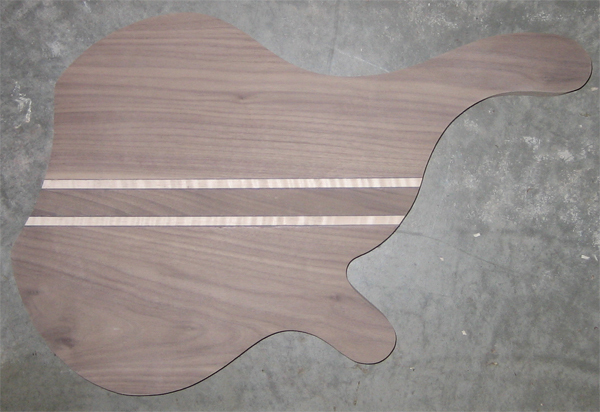 I got the top bookmatched and rough cut out the maple neck. A lot of work has been done since my last update. 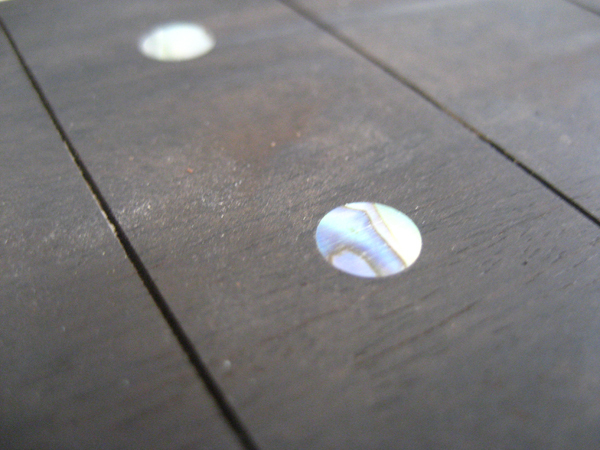 I inlayed the abalone dot markers as well as the side dot markers. 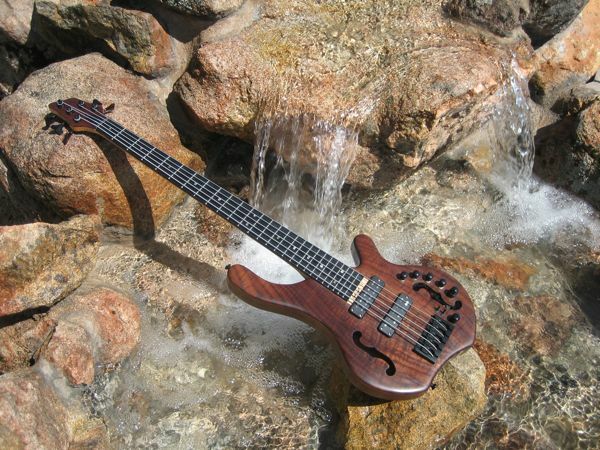 I made the truss rod channel, installed the truss rod and glued on the fretboard. 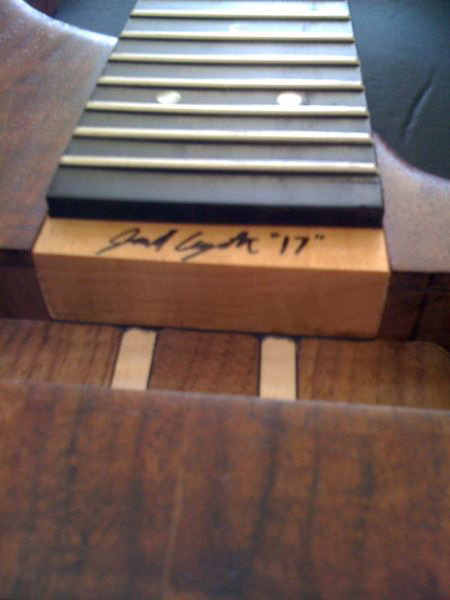 I glued on the headstock veneer and drilled the tuner holes. 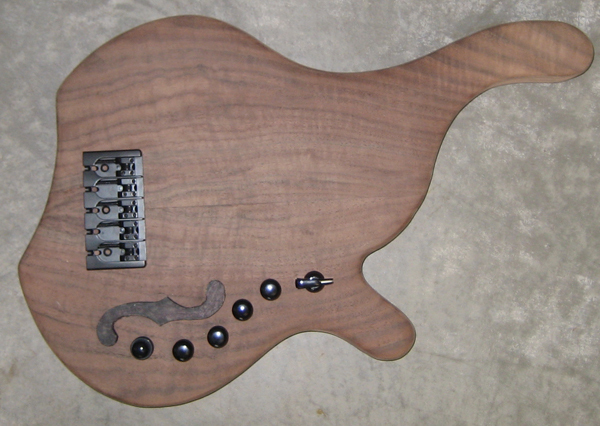 Lastly, I came up with a rough estimate of where the knobs will go, but I will probably use mini knobs instead. Sorry for the poor quality camera phone pictures, but it gives you an idea of what has been done. 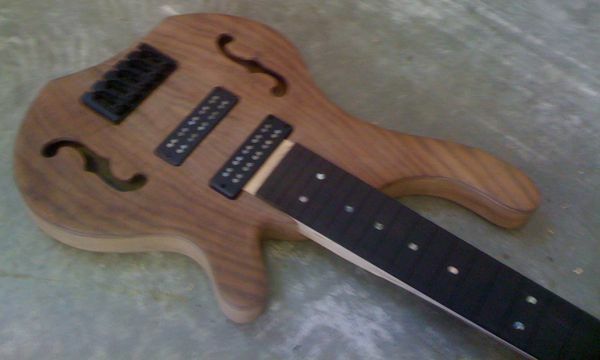 I routed that pickup and neck cavities, roughed the f-holes, rough shaped the neck and started on the control cavity. 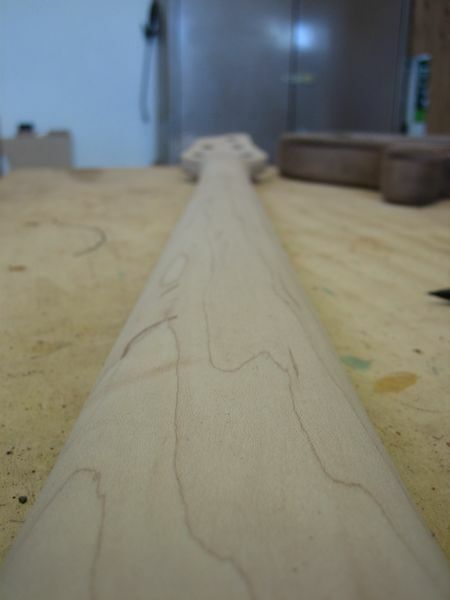 I tried to finish up the neck as much as possible today. 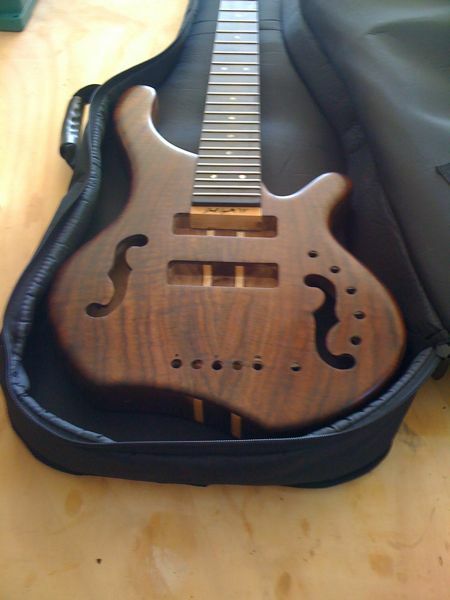 That included sanding and shaping the back as well as fretting it. No work was done on the body sadly. 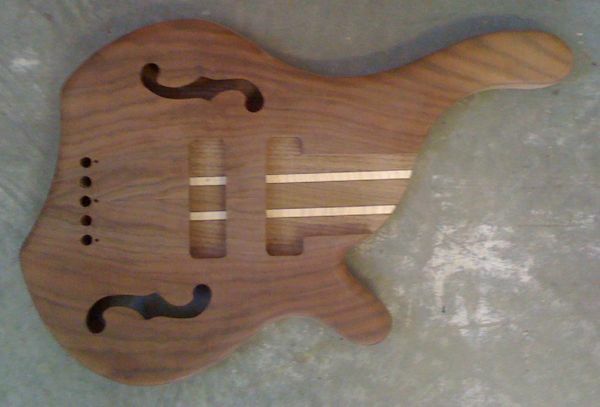 I tried to finish up this bass as much as possible so all I have left to do is sand and finish. I got most of the way there, but not quite. All the knob holes have been drilled. 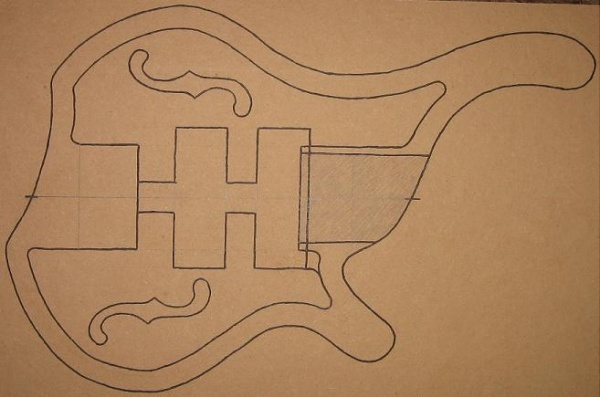 Same with straplock holes, output jack hole, tuner screw holes, truss rod cover screw hole, control cavity cover holes and pickup wire/bridge ground holes. 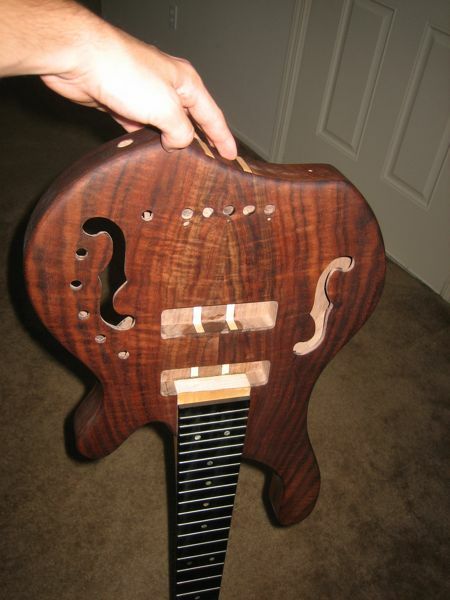 I also made the neck asymmetrical and have it about finished. 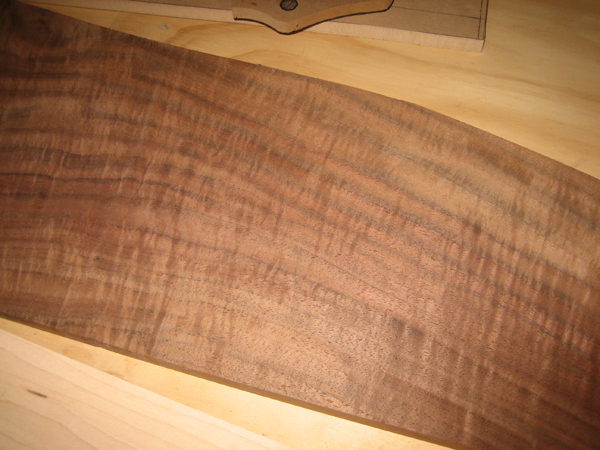 I went ahead and added a black veneer to the heel of the neck to give it a little more height and a nice transition. 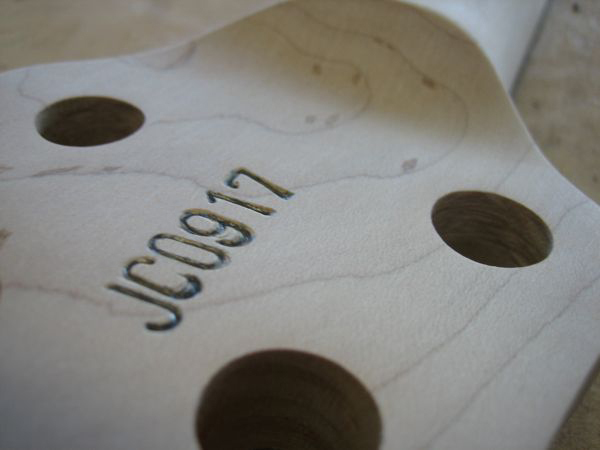 Lastly, I stampped the serial number “JC0917” on the back of the headstock. 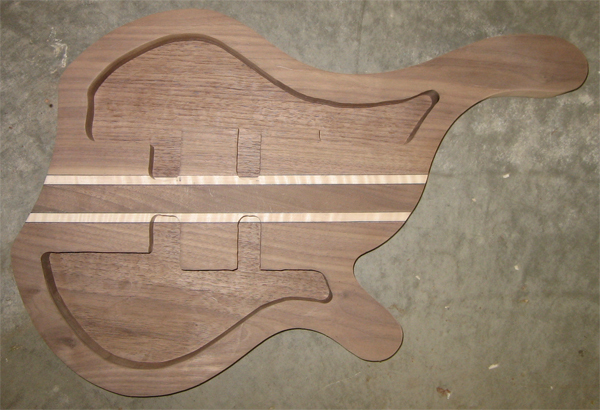 First coat of tung oil has been applied. It turned out a lot darker than I had expected, but that seems to always be the case with the first coat. Little bit of an update on the finish and signature. 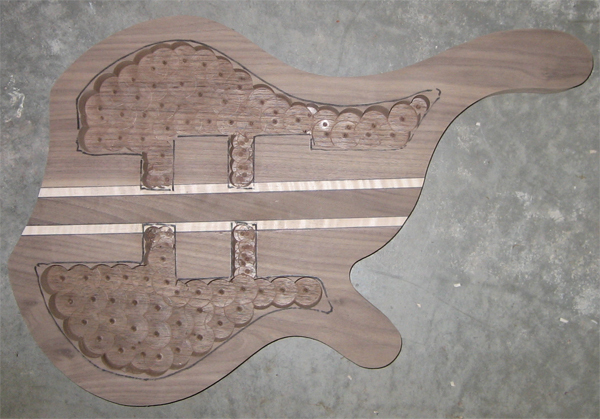 I hope to finish the finish this weekend and then it is on to the electronics.